During the month of February, we will be unpacking the entire chapter of 1 Corinthians 13. This great chapter on love is so needed in our personal lives and of course, in all segments of life today. This is a fantastic opportunity for you to invite someone to join you on Sunday. In fact, why don’t you send them a message right now with this graphic, inviting them to join you. Every member of a small group, choir, band, volunteer team, missions group… mobilize and organize your life and group to be part of worship on Sunday, February 10. This is I LOVE MY CHURCH DAY! This is a fantastic day for us to see the church STRETCH as far as possible so we can experience one of the greatest days in our history. Just think about this: On the four campuses of Cross Church, each Sunday, we offer eleven services in two different languages. Nine of these services are in English and now we have a service offered in Spanish at both our Springdale and Pinnacle Hills campuses. God is working and growing Cross Church to His glory. 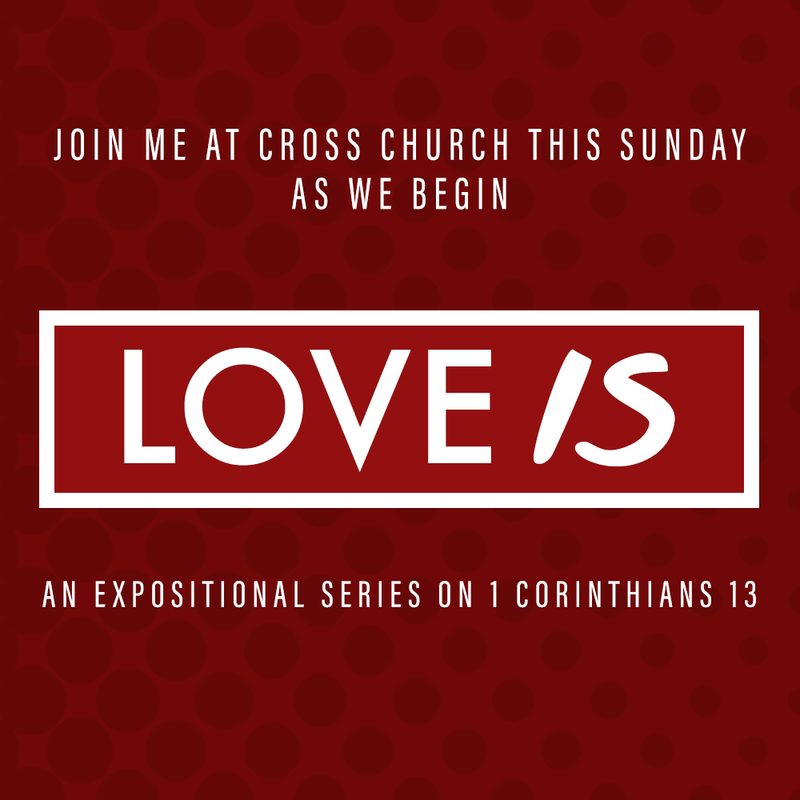 Check out these testimonies from our Church Family about why they love Cross Church. The most recent shutdown of the American government demonstrates the great need for prayer across America. That is why I want you to join me in praying for America this month. 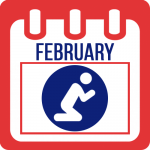 In my present role as President of the National Day of Prayer Task Force, I released 3 Prayer Priorities For America for the month of February. Please join us in prayer. Our nation needs prayer now more than ever before. Men: Sign up Now for Our Northwest Arkansas Men’s Conference on February 24 at 5:30 p.m. This year, we are altering the schedule for the Northwest Arkansas Men’s Conference, only scheduling it for one night. It will be Sunday, February 24, from 5:30–8:30 p.m. This year we will also be meeting at our Cross Church Fayetteville campus. Eat dinner before you come or bring your own food along. As you enter, you will receive a snack bag and a bottle of water to keep you going during the evening. It will be fast-paced and moving. Worship will be outstanding. As I lead this gathering, I am looking forward to hearing from Dr. Jarrrett Stephens, Teaching Pastor at Prestonwood Church in Dallas and Dr. Kie Bowman, Senior Pastor of Austin’s Hyde Park Baptist and The Quarries Church. These are outstanding preachers of God’s Word and we believe they will challenge each of us greatly. Invite a friend to come with you, bring your teenage sons and college students. We believe we will fill the room, so be sure to register now to reserve your spot.